Both PURSEnality and Split PURSEnality have room for all of your personal items including a large zippered pocket, a cell phone pocket, pen holder, key holder and 2 additional inside pockets. The outside also has 2 pockets for those who like to have their cell phones easily accessible. Split PURSEnality also comes with an organizer and an iPad holder (iPad not included). A color strip for every mood. The front and back of every purse features an interchangeable color strip which can be changed at a moment's notice using the included color strip tool. You can dress up your purse with bling, be plain and simple, or have fun and be whimsical. Whatever matches your mood (and outfit) for the day! The bayonet attachment system is unique to Split PURSEnality and allows the included organizer (featuring business card inserts, pockets to hold your own business cards, a slot to insert a 5×8 writing tablet, a pen holder and plenty of room to carry an e-reader or iPad Mini and a small calendar book) or iPad holder to be attached quickly, securely, and easily. 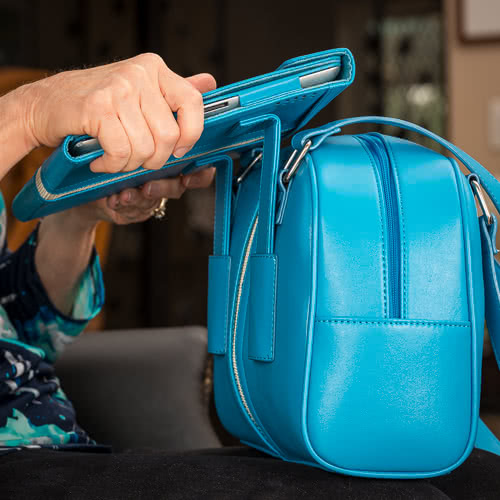 Your iPad can be easily used in its landscape orientation while still attached to the purse. 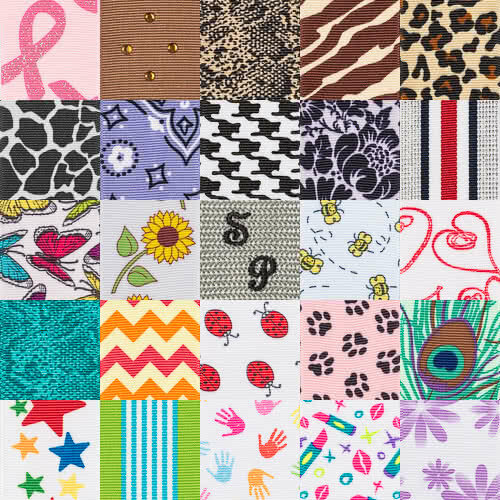 Over 200 combinations are possible between purses, colors, and color strips!